Tuli’s Classic Heel Cups provide immediate heel pain relief by cushioning the area of pain and elevating the heel bone. Are Tuli’s® Classic Heel Cups the right heel cups for you? Tuli’s Classic Heel Cups work in all shoe styles because they are supportive, yet flexible enough for any shoe. You can have light-weight support and cushioning all day long whatever you may be doing. 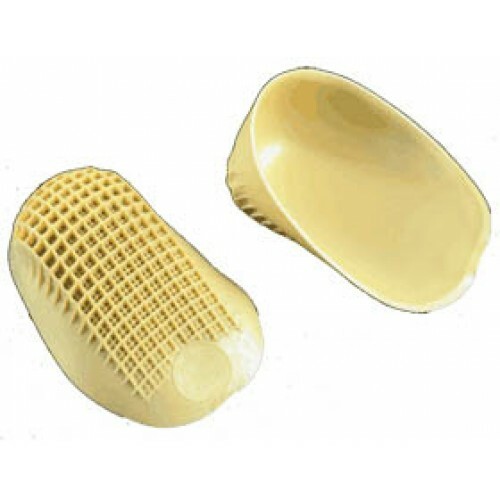 Tuli’s Heel Cups has a patented, multi-cell, multi-layer “waffle” design which absorbs shock and returns impact energy just like the system naturally found in your feet. 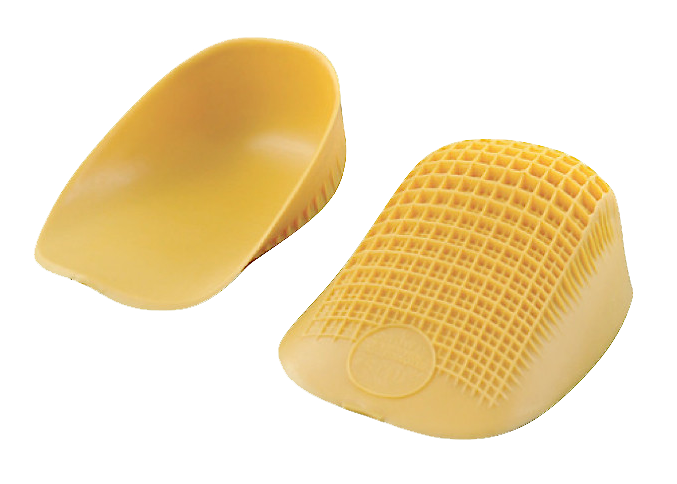 When you walk or run, Tuli’s Heel Cups’ waffle construction design bears down and rotates with the normal motion of the foot to absorb the shock. And just like a spring, Tuli’s Heel Cups returns that energy back for maximum comfort and performance. Tuli’s Classic Heel Cups provide immediate heel pain relief by cushioning the area of pain and elevating the heel bone. The cushion and elevation you get when you use Tuli’s Classic Heel Cups takes the pressure off your Achilles tendon and allows you to regain your flexibility. Tuli’s Heel Cups are constructed from the longest-lasting and best-performing materials available. This superior construction means that our heel cups can be backed up by our industry-leading lifetime warranty.